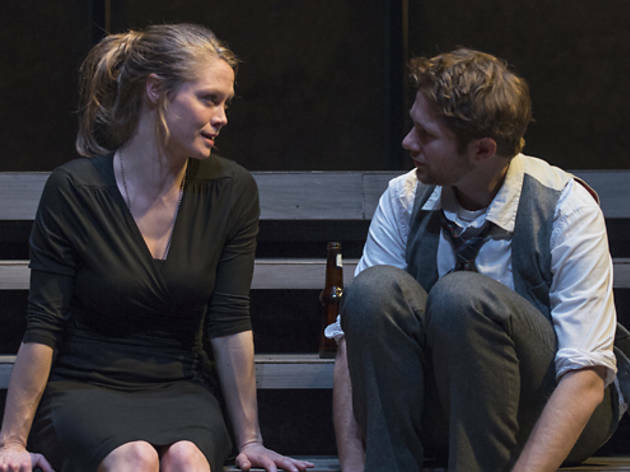 Chaon Cross’s performance and Charles Newell’s concept feel overly stagy in a revival of David Auburn’s ubiquitous play. Degenerative mental illness can manifest in many ways. 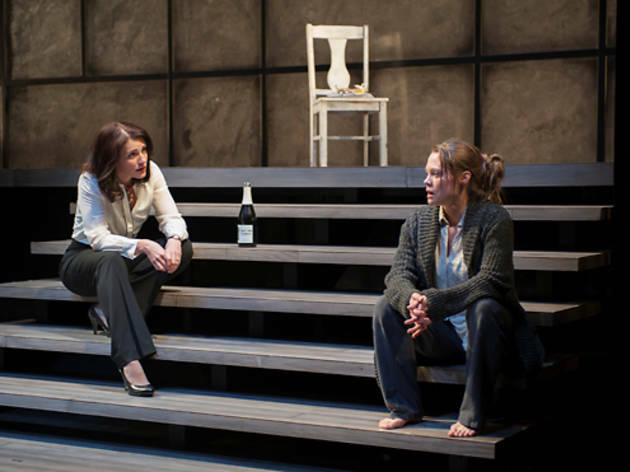 In Charles Newell’s expressionistic revival of David Auburn’s 2000 Pulitzer-winning drama, it appears in Catherine’s interactions with the chair her dead father (Kevin Gudahl) used to sit in. 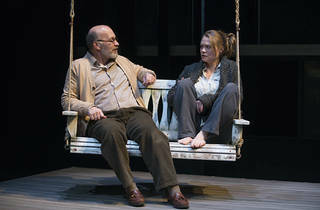 During a stressful conversation with one of her dad’s former students (a dorky, charming Erik Hellman), Catherine (Chaon Cross) picks up the white seat and moves it puzzlingly around the set. Later, she executes interpretive movement on the chair while eavesdropping on a bizarre shadow play between the student and her overbearing but well-intentioned sister (Megan Kohl). 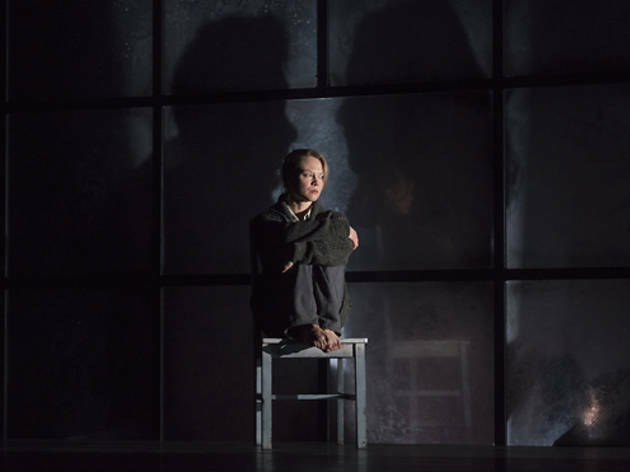 By keeping Catherine onstage throughout, Newell turns Auburn’s script into a memory play unfolding in the character’s mind. 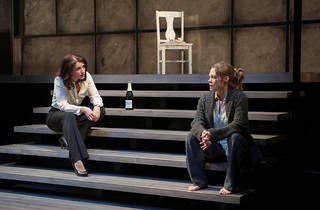 While Proof takes place in Court Theatre’s neighborhood, Newell doesn’t try to create the illusion of Hyde Park. 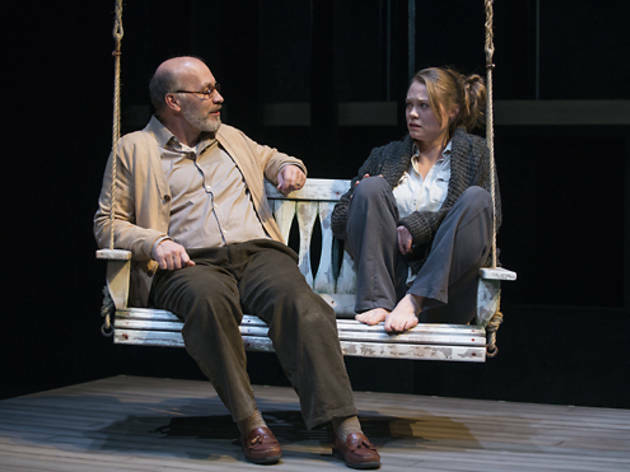 On Martin Andrew’s elegant but sterile set, the chair and a porch swing are the only pieces of furniture; the open, lonely environment reflects Catherine’s isolation in the wake of the death of her math-genius father. Unfortunately, the overly performative quality of Cross’s Catherine makes it difficult to believe in her mental instability. 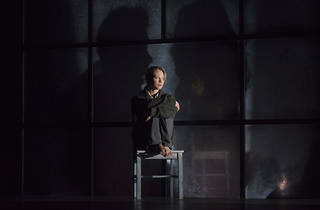 The actor wanders around the stage frantically, clutching her cable-knit sweater. As with the chair choreography, her actions feel like forced, external representations of her condition rather than natural reactions. 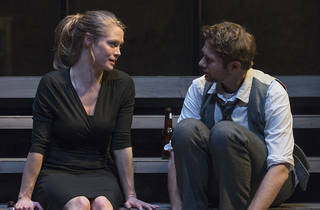 The rest of the ensemble fares better, but Newell’s overcomplicated Proof throws off its logic.